It's hard to be humble when other kids brag about themselves, isn't it? Well, here's a little secret: God delights in those who are humble. 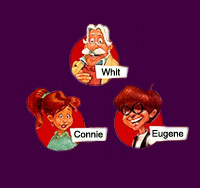 Just stop by Whit's End and let the gang show you how they keep their egos in check. Have fun! Contains 3 previously aired episodes: "Heatwave," "Over the Airwaves," and "Family Values." Rodney's fictional essay about family values soon leads to chaos! 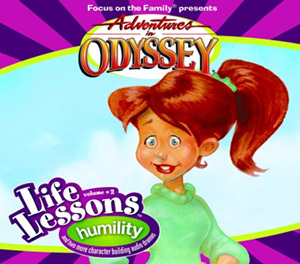 Do the Rathbones REALLY think they can win a contest as Odyssey's PERFECT family - or are they simply crazy?